Home Organization Professionals: Who Can You Trust in Your Home? Trust Major Organizers™ to Organize Your Home! For some people, the thought of inviting any type of contractor or other working professional into their home brings on feelings of anxiety and protectiveness. How do you know who you can trust in your home? Who can you trust around your pets, kids, and other family members? At Major Organizers™, we understand that it’s not always easy to invite a stranger into your home, especially to assist you with something as personal as organizing your belongings and your space. 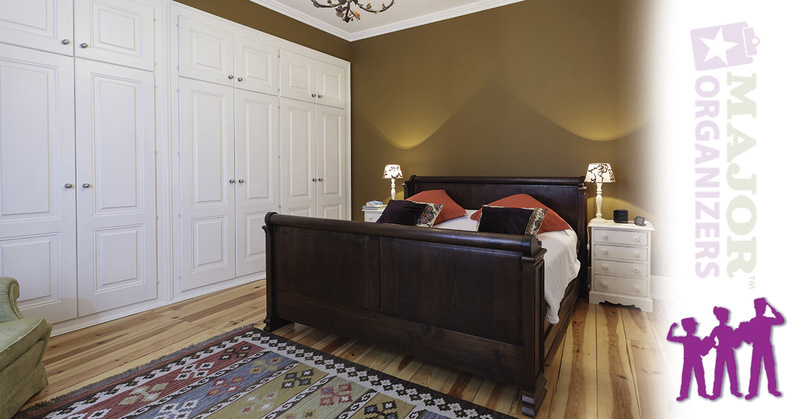 With more than 10 years of experience, we’ve helped hundreds of homeowners reclaim their space. Our team of professional organizers is ready to help you organize your home and liberate yourself from clutter, too! To help you feel more at ease, we’ve expanded on why you can rely on us for your home organization needs. Read on to learn more, then contact us today at 1-888-549-8854! As with any professional, you want to know he or she has the training and skills needed to get the job done right the first time with no hassles. Each of our employees goes through the rigorous on-boarding process with the Major Mom® Academy taught by the founders of Major Organizers. The guide trainees through both classroom and on-the-job training to ensure complete understanding and adherence to the Major Mom Method™. Beyond the training, new employees participate in a three- to nine-month apprenticeship overseen by a Certified Liberator™ and/or a Certified Professional Organizer®. With the extensive, job-specific training we employ, you can rest assured that any organizer from Major Organizers is properly trained to assist you with your organization job. When one of our team members enters your home to assist you with decluttering and/or organizing, we do so by following a specific system that has proven to be very successful with even the most disorganized and cluttered spaces. Our three-phase process begins with a thorough evaluation of which organization systems are currently working in your home, and which ones aren’t. We then create an action plan for the space we’re helping you with. Finally, in phase three, we take action with our S.T.E.P.S. process and help you implement your new organization system. The best part about our Major Mom Method is that it is completely customizable, ensuring the most potential for your organizational success! At Major Moms, we understand that it helps to know that the professional organizer in your home shares the same values that you do. We operate by a strict code of conduct which places the safety and well being of our clients and communities as top priority. Our goal is to bring your focus back to the important things in life: quality time with your family, taking care of yourself, managing your money, and growing your business. Our experts are also passionate about their spirituality and serving God. Major Organizers also understands that some may fear judgement or scrutiny when we enter their home. 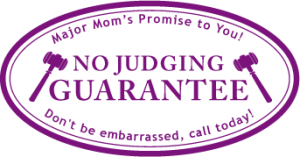 You’ll be pleased to know that we have a “No Judging Guarantee,” which means you’ll never have to worry about feeling embarrassed about the condition of your home or space. We believe that these three qualities are part of what allows us to provide industry-leading home organization to residents in our service areas. If you’d like to find out more about our services and our team, contact us. We’d love the opportunity to speak with you about what sets us apart from the competition! Speak with a Liberator Today!